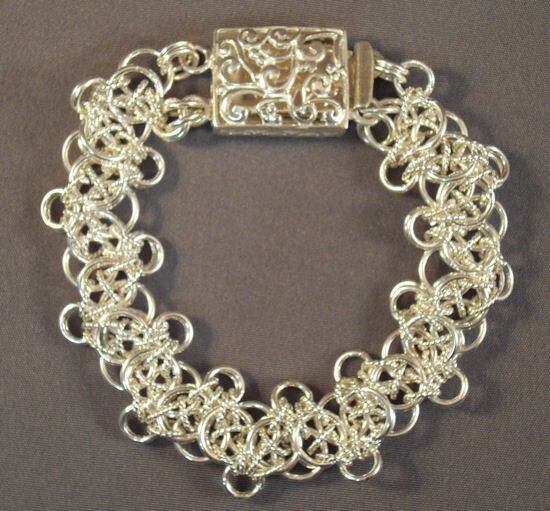 The Celtic Zig Zag with a Twist Bracelet is a wonderful bracelet to wear. It has presence, sparkle and shine. It is beautiful in a single color, or in a two tone combination. This is an intermediate weave. The clasp is not included in the kit.